Renowned watchmaker files appeal under lawsuit banning tissot.ru domain | Russian Legal Information Agency (RAPSI). Tissot AG obtains court prohibition of "tissot.ru"
MOSCOW, April 27 - RAPSI. Holmrook Limited submitted a cassation appeal under the Tissot Ag watch manufacturer's lawsuit against the ban on using "tissot" in the tissot.ru domain. The Ninth Commercial Court of Appeals has prohibited Holmrook Limited from further using "tissot" in its domain and declared the unauthorized use as trademark infringement. The court also awarded Tissot 50,000 rubles ($1,650) in compensation. The court has reversed the Moscow Commercial Court's previous judgment to dismiss the lawsuit. The trial court stated that Holmrook Limited is not tissot.ru's owner or administrator, as it had assigned the administration rights to an individual named Nikolai Mikhaylyukov for free. 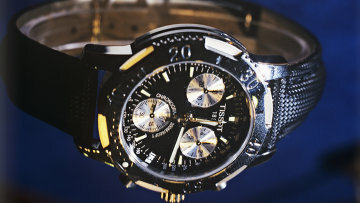 Tissot AG is a renowned global watch producer. The watchmaker registered the "tissot" trademark in 1917. Meanwhile, Holmrook registered the same trademark much later. According to the claimant, Holmrook Limited violates its exclusive trademark rights. Tissot also said the defendant does not use the trademark. Tissot said www.tissot.ru became an informational website about French painter Jacques Tissot soon after it filed the lawsuit. Mikhaylyukov also participated in the hearing. He has informed the court of a Moscow district court's August 23 decision entitling him to register tissot.ru on his own behalf. The court has also involved Valentina Merushina in the case as she has been using the disputed domain under a contract with the defendant since 2010 for posting information about the painter. The plaintiff has given the lie to this statement because prior to filing the lawsuit the website inspection showed that it was under development. This is not the first lawsuit filed against Holmrook Limited. In September, the Moscow Commercial Court sided with another Swiss watchmaker Rado Uhren AG in its lawsuit to prohibit Holmrook Limited from using its name in its domain names and ordered the defendant to pay 50,000 rubles ($1,650) in damages. The judgment has come into force. Earlier, the court satisfied Longines Watch Co. in its action against Holmrook Limited for trademark and trade name infringement. 15:11 27/04/2012 Holmrook Limited submitted a cassation appeal under the Tissot Ag watch manufacturer's lawsuit against the ban on using "tissot" in the tissot.ru domain.